Yesterday S&P came out and said it would not be downgrading Greece, providing the biggest piece of evidence yet in support of our thesis that the crisis is over (for now).But of course this is just a short-and-medium call, and doesn’t reflect anything about the long-term reality, as structural problems remain unfixed and untenable. 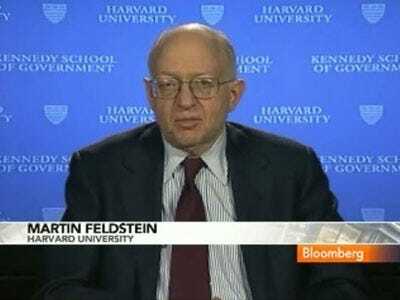 Among Greece’s doubters is Harvard’s Martin Feldstein, who predicts that ultimately the worst fears of the beginning will be realised, and that Greece will have to quit the euro. One possibility, he said, is for Greece to pull off a “polite default” that might involve some kind of short-term-for-long-term debt swap.